The entire ocean contributes to every single wave. For answers to your most essential questions: Go here. Donate to Purnameva Mission. 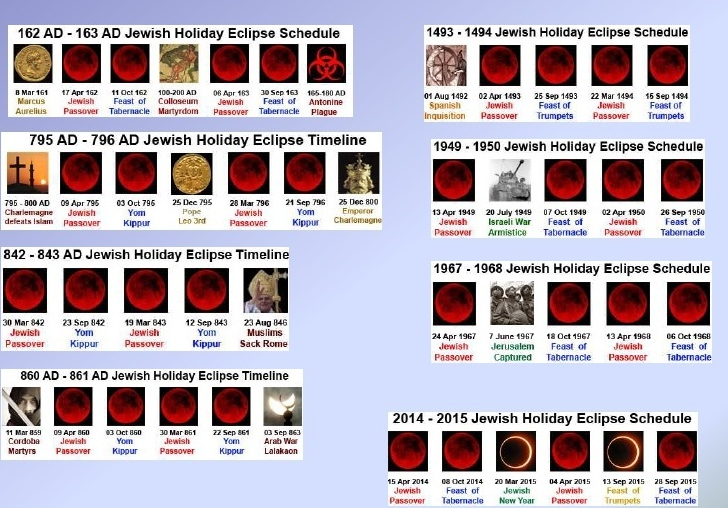 Blood Moons (total lunar eclipses): There have been blood moon tetrads only four times in the last 500 years. The last tetrad to occur on the Jewish festivals before this one was in 1967, the one before was 1948 and the one before was all the way in 1492. And those are major years in Jewish history and in the history of the world. 2014-2015 Tetrad: 4/15/14, 10/8/14, 4/5/15 & 9/28/15 ...coinciding with the feasts of Passover (Leviticus 23:5) and Tabernacles (Leviticus 23:34). ◊ What the Bleep Do We Know! ?